As a new mum to baby Theodore (with her reality TV star husband Spencer Williams) model Vogue Williams knows a thing or two about anti-ageing products and what to use to hide tired eyes and skin. Summer’s almost here and it’s time to perfect that healthy glow look, via Pixiwoo’s amazing make up tutorial. If you’re looking for a product to give your skin a real hydration boost, serums are a great place to start. Use a few drops before your moisturiser for fresh-faced, happy skin. Have you turned vegan recently and are struggling to find beauty products that align with your lifestyle? Check out this fab video from our fave Pixiwoo for some inspiration. 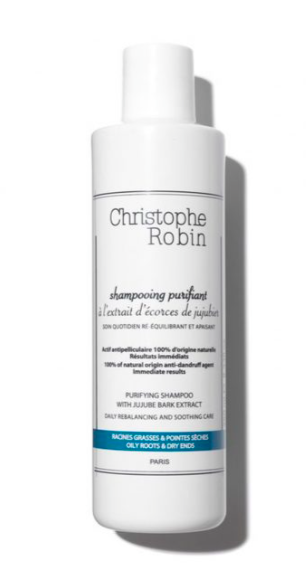 Greasy hair is not a look anyone is striving for and even with the best dry shampoo in the world, sometimes the only answer is a good old fashioned wash.
And if you’re looking for a product to get rid of heavy duty oil without stripping your hair of its natural goodness, we’ve rounded up some of our favourites. Chrissy Teigen works the balayage look to a tee. Balayage has been around for a while, but this timeless technique is creeping its way back into being one of the most popular requests in salons. Balayage is French, meaning sweep or to paint. It’s a freehand hair colouring technique that gives a really blended natural look with no harsh or obvious regrowth lines. It allows for a sun-kissed natural looking hair colour, with softer, less noticeable re-growth. The main idea being ‘less is more’ when creating a natural, multi-tonal finish. Balayage is painted on the surface of the hair strand and not saturated through the section until the very tips. This ensures a smooth, blended stroke of colour. Unlike highlights, no foil or meche are used to create the highlights. The depth of balayage can vary so much from a matter of minutes to a full on, triple process look that can take up to 3 hours But it lasts well which means you can leave longer between appointments. Read more about it here. Katy Perry is a master of reinvention and loves nothing more than a shocking new look. Which is your favourite? TREND ALERT: The mini fringe aka "baby bangs"
Will you give this new style a try?